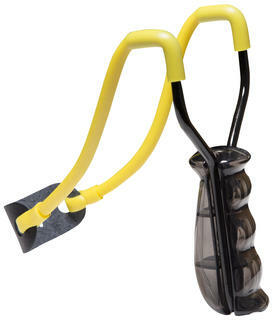 Have hours of fun with this Buffalo River slingshot. Surgical rubber, leather ammo cup and armrest folds up for storage/transport. 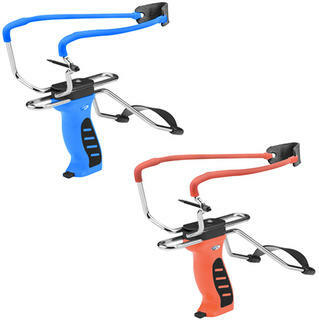 This great value catapult has a solid steel/nickel finish with a sleek pistol grip handle, durable surgical-grade tubing, a rugged shot pouch and even has a flexible adjustable wrist/arm brace.